Coffee table. 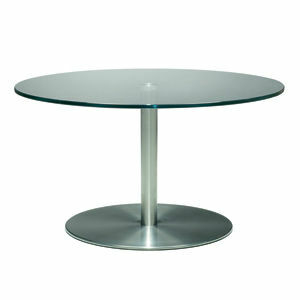 Satin stainless steel base. Top in natural beechwood, wenge stained beechwood, cherry stained beechwood, white or black ABET laminate, or 3/8" round tempered glass top. Please add ½" to overall height when specifying wood veneer or laminate top.